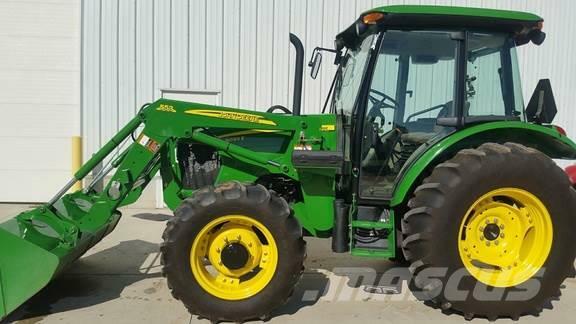 기타 정보 Cab, MFWD, LH Reverser, 12F/12R Trans, 2 Rear Hyd, 2 Mid Hyd, 540/540E PTO, Diff Lock, AM/FM Radio, Block Heater, 18.4x30 Rear Tires, 90%, JD 553 Loader, 73" Bucket, Cold A/C, Eco Liquid Ballast in Rear Tires, Super Sharp. Call, email, or visit sloans.com for the current location of this item. Other websites show the location as Assumption, IL or Monroe, WI, while it may be at any of Sloan’s 20 stores.